The Phoenix Film Festival is excited to announce the Saturday Night Showcase Film as Screen Gems’ “Searching” starring John Cho, Debra Messing, Joseph Lee, Michelle La and Sara Sohn. The film premiered to rave reviews at this year’s Sundance Film Festival and won the Alfred P. Sloan Film Prize there as well as the Audience Award for the NEXT section. “Searching” will screen at the Phoenix Film Festival on Saturday, April 7 at 7:25 p.m. To purchase tickets, visit www.phoenixfilmfestival.com. A suspenseful and hyper-modern thriller about a desperate father searching for his missing teenage daughter. 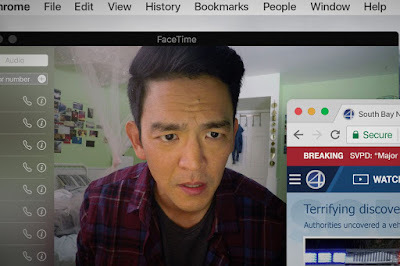 After a local investigation is unsuccessful, David (John Cho) decides to search the one place no one has looked yet and the one place we all keep our secrets today. “Searching” will open in theaters August 3, 2018. The 18th Annual Phoenix Film Festival will take place from Thursday, April 5 to Sunday, April 15. Continually breaking attendance records since its inception, last year’s festival saw over 25,000 attendees and there are hopes to pull in even more film enthusiasts this year. The week-long Festival will once again be held at Harkins Scottsdale 101 Theatre located at 7000 E. Mayo Blvd. Phoenix, AZ 85054.